To increase your French vocabulary, I would recommend using Duolingo and Memrise. Those 2 apps are free and you can use them either on your desktop or on your phone. I use both everyday as they complement each other. Memrise: I love the "Learn with Locals" and "Listening skills" features. With the first feature, you are presented with short videos of real people talking to you. With the second feature, you have to listen to people talking and figure out what they are saying. 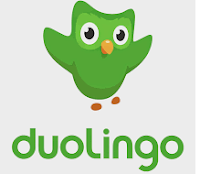 Duolingo: They make you talk and practice your pronunciation. Memrise: There is a timer on at all times and this can be annoying if you want to pause and look into something. Duolingo: If you make too many mistakes while doing a lesson, you have to stop and you lose your health points. It can be frustrating.